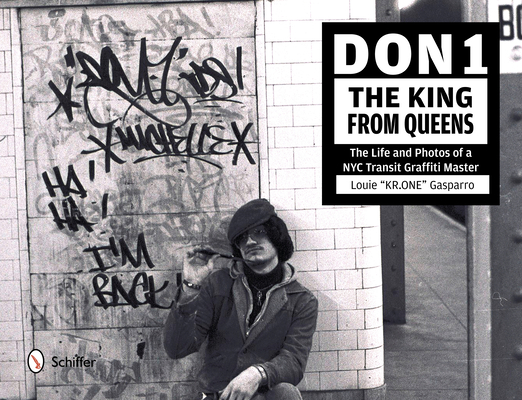 Join us at Book Culture LIC as Louie Gasparro discusses his art books Don1, the King from Queens: Life and Photos of a NYC Transit Graffiti Master and Kolorstorm: The Art of Louie "Kr.One" Gasparro on Friday, September 14th at 7pm! Don1: Among the famous graffiti artists from New York City's 1970s subway era was an unassuming talent from the unassuming borough of Queens. The Italian-American rock and roller who wrote DON 1 MAFIA blasted onto the scene like a meteorite out of nowhere. His influence on this art form transcended the inner city and he became a legend and a household name. But his descent from the top of this name game, a result of the hedonistic lifestyle of New York City at the time, was just as swift, and for years DON1 has lived in obscurity. Fortunately, as a photographer studying at the prestigious school of Art and Design, DON1 documented his iconic work, along with that of his well known contemporaries, using his trusted 35mm camera. This penetrating work takes the reader inside the supernova that was DON1's creative life with nearly 200 never before seen graffiti photos of the most undocumented NYC train lines and an even rarer glimpse at work from his black book. 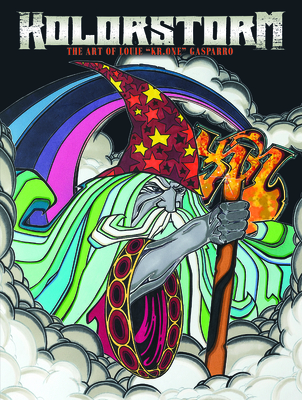 Kolorstorm: NYC graffiti art, heavy metal, comic books, and fantasy art intersect here in Louie "KR.ONE" Gasparro's visual autobiography. This legendary Queens artist-drummer weaves these powerful influences into a medium he calls "Graffantasy," creating tags, wall pieces, paintings and illustrations, model trains, jackets, and more. Gaze at this modern Renaissance man's work from 1977 to the present, and trace his evolution from his adolescent days watching bombed subway cars whirring by in a KOLORSTORM, to the underground period tagging trains and evading cops, to his legal works and whole-school buses. Starting with a scrapbook-like photo collection from Louie's youth and his other career as drummer of several heavy metal bands, the book moves on with elaborate sketches from the artist's blackbooks, and colorful concert posters and album covers. Through a stunning array of styles and techniques, witness KR.ONE's transformation from restless punk to major decorative artist and abstract painter. Part of the rolling subway art of NYC graffiti since 1977, Louie "KR.ONE" Gasparro is a graphic designer, actorpainter, producer, poet, actor, and musician living and working in New York City.